Recently the journalist Ainehi Edoro wrote an interesting article in The Guardian about the bias of the book industry in terms of African novels, comparing the Western agenda when we publish, read and review African novels to the agenda applied when reviewing novels from the Western canon. We tend to attribute an imagined anthropological value to African fiction, assuming a cultural viewpoint about their issues and themes first, rather than seeing them as we would American or British books – in which we are simply guided in our reviews by characterisation, plot. Ie. Writing first and themes secondary. So it was with great interest that two picture books set in Africa arrived on my desk in the same week. 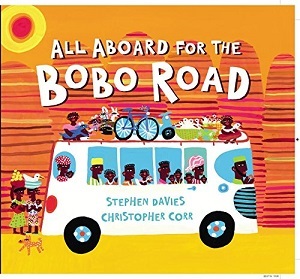 One, published by an award-winning children’s publisher, is All Aboard for the Bobo Road, written by Stephen Davies and illustrated by Christopher Corr. What’s extraordinary about this picture book is the colour. It is as if the African sun is shining directly out of the pages – the amount of brightness and colour detail is completely captivating – the children testers I used for this book positively beamed back at the lustre and glow. Fatima and Galo board the bus bound for Bobo. Their father Big Ali drives the bus, and on the journey the children keep track of all the livestock, people and goods that are boarded onto the bus, as well as watching the landscape go past. Readers can help to count cargo on and off the bus, including three bicycles, seven watermelons, five sacks of rice, nine goats and much much more. Along the way, the children see a hippo lake, a waterfall, the forest, rock domes, market stalls, and the Grand Mosque. Each page brims with detail and above all, colour. At the waterfall for example, the water is like big slaps of blue paint against a brown rock background with a multitude of colourful patterned rugs in the foreground, plants at the summit, and people everywhere, with colourful clothes, bags and hats. The goods are stark and bold – blue and orange bicycles, colourful bundles on heads, an assortment of vehicles ferried on top of the bus. The ground itself isn’t brown or beige – but a bright purple. Each spread is differentiated in its colour, from the vibrant oranges of the rock domes to the lush green of the forest, the blue of the town. Even the endpapers blaze with light and interest – tracking the different sites of Burkina Faso, which is where the author based his story, after his experiences there over several years. The text too shines, with the unloading and loading of cargo, the counting within, and the descriptions: the children are ‘tired and hungry’, Galo unloads watermelons ‘huffing and puffing’ and Fatima unloads rice ‘craning and straining’. 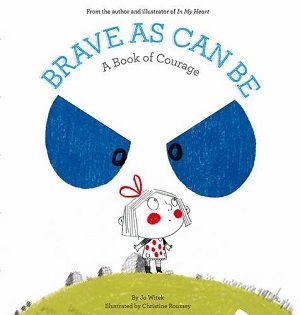 The last pages are particularly effective, subtly showing the difference between what children see and what adults see. 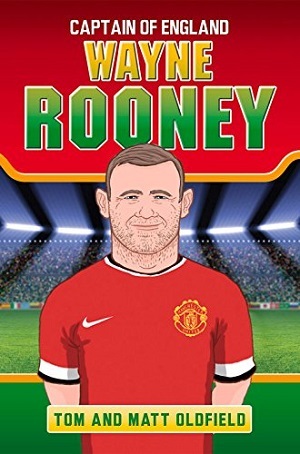 There are familiar traits for a bus picture book, such as the wheels of the bus turning round, and the beep beep as the bus sets off, but in other ways this is a truly original picture book, and stands out from the crowd as being the brightest I have ever seen. You can buy a copy here. The other picture book is published by Cassava Republic Press, whose very ambition is to change the narrative on African books, rooting African writing in all its different experiences, be it rural or urban, past or future. 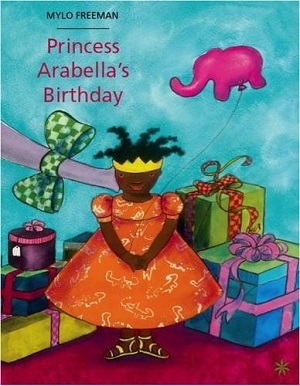 Princess Arabella’s Birthday by Mylo Freeman aims to show that not all princesses are blonde and blue-eyed, whilst also containing a clear message that princesses should be careful what they wish for. Princess Arabella has everything she could possibly want, so her parents are stuck as to what to buy her for her birthday. The princess decides that she wants a real live elephant, and her wish is granted. The only problem – this is not a compliant elephant. The twist at the end of the book is delightful – but it’s the small illustrations throughout that endear Princess Arabella to the reader, and serve to make this a series to watch. From the elephant-shaped balloon on the cover, to the hilariously bad parenting of the King and Queen and the size of the net used to catch the elephant – there is plenty in each illustration to make the reader giggle. The colours are vibrant, the jauntiness of facial expressions well-executed. It’s a simple story – for young readers – but conveys a vibrancy of personality and landscape, and conveys the beauty of another country – from the sandals on her feet to the sunset in the background – with ease and simplicity. 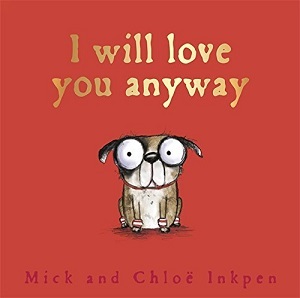 There are very few picture perfect picture books. Some have great illustrations, some great words, and occasionally both. This one is exquisite, for not only does it pair words and illustrations well, but it prompts the reader to think – reminiscent of I Want My Hat Back by Jon Klassen for its use of inference. 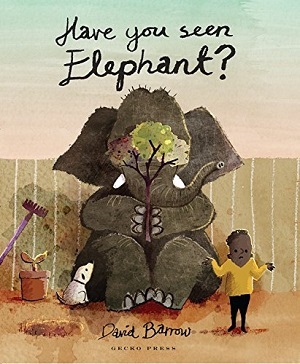 Barrow’s debut picture book begins with elephant asking the small boy if he would like to play hide and seek. The boy decides that elephant should hide, but in a beautiful close up on the next page elephant warns the boy “I’m very good.” The boy and his dog count to ten and shout “Coming! Ready or not!” and the game begins. The reader’s glee comes from the boy’s apparent ineptitude to see the ‘elephant in the room’ (although he might be pretending as one reader pointed out! ), but the reader’s laughter also comes from the astuteness of the dog – he sniffs elephant out every time. For the reader, it’s plain to see where the elephant is – his bulk is hard to miss and of course this is part of the joke – but Barrow has executed each page beautifully – the illustrations in hues of blues or greys or purples or oranges depending on the room, giving the elephant a chance to fade into the background. Particular joys include the page in which the boy asks his father if he’s seen an elephant – the father answers “What elephant?”, and the picture shows the reader that the elephant is holding the television screen on which the Dad is watching football. Barrow’s endpapers (the motif of which continues onto the first page) tell a story in themselves. They are a series of portraits of family photographs (drawn in illustration) – from relatives not even in the story, to the boy’s mother and father on their wedding day, to the dog, the boy as a toddler, and at the back of the book – the elephant’s trunk weaselling into the photos. Watch out too for the tortoise, who offers to play a different game with the boy, the elephant and the dog at the end – also warning he’s rather good at it. It’s left to the reader to decide if a tortoise really would be good at tag. Fabulous stuff, and definitely an illustrator to watch. Buy it here. David Barrow is not the only illustrator playing hide and seek with an elephant this year. 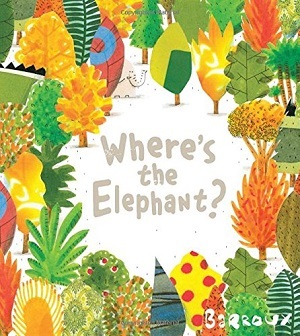 Barroux has produced a stunning book, Where’s the Elephant? which through very clever use of a Where’s Wally inspired theme, aims to shock the reader into seeing how deforestation is affecting the planet. 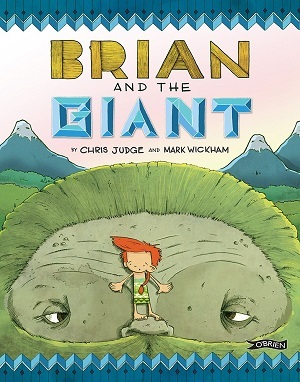 It’s another totally exquisite picture book. 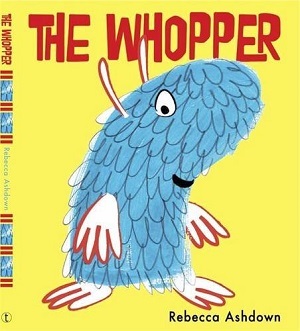 The first page explores the three creatures the author wants the reader to find within the book – an elephant, a parrot and a snake. Then the first pages show a dense forest – trees of all different colours and types swamping the page with their magnificence. Barroux has used blues, oranges, yellows, greens to depict his trees – this page alone is a lesson in illustration. The animals are hard to find. But gradually as the reader works through the book, the trees are given less and less space, at first just logged tree trunks are shown on the left of the page, then they start to crawl across, as houses, cars, roads take over the space. By the end the creatures are easy to spot – there is no camouflage, food, shelter left for them – and they are reduced to living in one tree, then just the zoo. It’s a fabulous illustrative demonstration of what is happening, inspired by Barroux’s trip to Brazil. The shocking difference between the first page and the page of the one tree is quite something to behold. There is some kind of salvation at the end though. Read it with children – you’ll see the impact a picture book can have. You can buy it here. 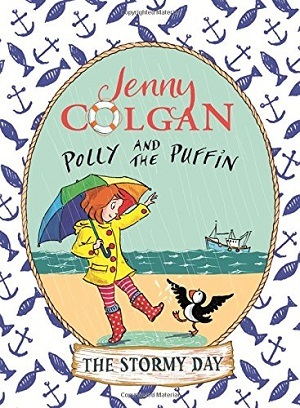 Mary Poppins blew in with her umbrella on a very strong wind, and these two new books for children breezed through the letterbox earlier this year. This is Anne Michael’s first foray into children’s books, although she won accolades galore for Fugitive Pieces, amongst other writing. And what a book! 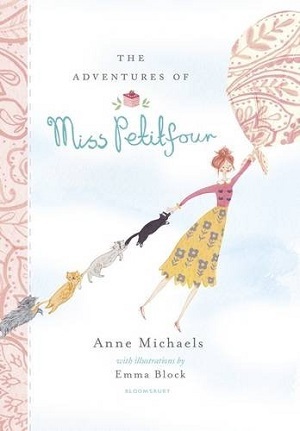 The Adventures of Miss Petitfour is split into five separate stories about the main character, an eccentric lady who lives alone, except for her 16 cats, to which there is an illustrated guide at the beginning so that the reader can distinguish between them. Miss Petitfour also has the ability to fly when the wind takes her – merely by shaping a tablecloth into a type of hot air balloon and going where the breeze dictates. Anne Michaels has created a world of jumble sales, grand village picnics, stamp collections and the Festival of Festooning. She explains the construction of her stories as she writes – from ‘then one day’s’ to ‘meanwhiles’ without any condescension, as well as including the most luscious descriptions from clothes and fabrics “bolts of rustling stiff crepe paper and spools of silent velvet ribbon; there was the swish of tinsel and the jittering of plastic beads”, to the line of cats dangling in the wind, to the colour of marmalade. And Michaels does all this as well as writing interesting plots with drive, so there is never a dull moment. The accompanying full-colour illustrations by Emma Block are sophisticated, humorous and almost as eccentric as Miss Petitfour herself – with massively differentiated cats, ear muffs, dancing, piano playing, and also simple tea. They are sharp and well matched to the text. This is a meticulously crafted book – refined and delightful. For 7-12 years, and beyond. Buy a copy here. 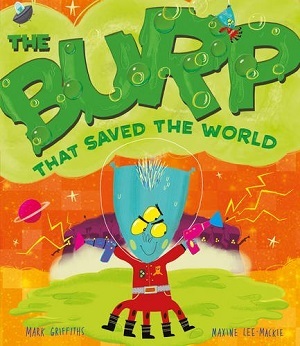 With its irresistibly shiny cover, this tale does indeed sparkle from beginning to end. 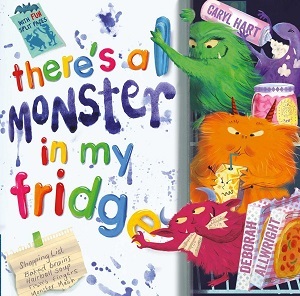 For newly independent readers, (the text is much larger, and the story shorter, than the title above) it tells the tale of Harper, a small girl who lives in the City of Clouds in a tall apartment block. Her friends come from the different flats within the building, each child having a defined personality from the start. But Harper’s best friend is her cat Midnight. 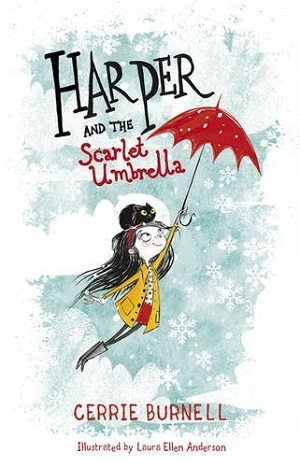 When Midnight goes missing, along with all the other cats from the City of Clouds, Harper must harness her scarlet umbrella (which enables her to fly) and track down the lost cats. Laura Ellen Anderson’s illustrations made this book for me. From the endearing portrayal of Harper on the cover with the cat perching on her head to the most incredible full page illustration of the cat orchestra inside, the artworks, despite being all in black and white, made me want to savour the book for longer. Small details abound in each illustration, from the smattering of freckles across Harper’s face to the cat licking its paws in the middle of an orchestral warm-up, to the view from the rooftops down to the trail of cats below. 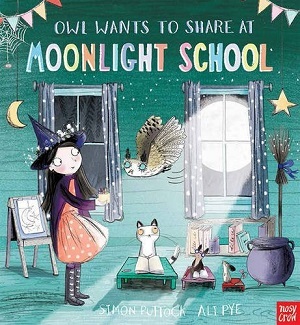 Each chapter starts with an illustration of Midnight in a different pose, and the book ends with her curled up comfortably asleep on the last page. The writing is intensely lyrical, mirroring the themes of the story, which are music, adventure, care for others, all set in an imaginary world where there are different types of rain, “Summer Dew” and “Sea Mist” being just two, so that everyone owns an umbrella. The world also contains a plethora of musical instruments. Time and attention is lavished on children by grownups who really care, and the story is populated by overly exaggerated characters brimming with arty skills – they can dance, or write, or play music with incredible aptitude. It makes for magical reading, each sentence carefully honed with an abundance of adjectives and similes. 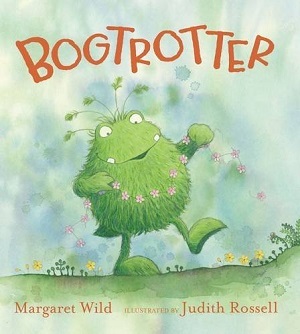 It is short and reads as sweetly as the story within, although for older children the language may seem a little cloying. For first readers, the magic of language will spring off the page, and I can happily see children revisiting the story for comfort, and definitely for those stunning illustrations. For 6+ years. You can buy a copy here. 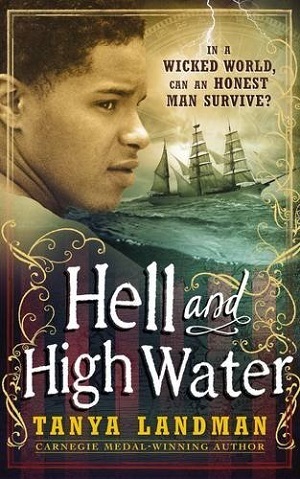 Opening with a filmic scene of main character Caleb and his father staging a Punch and Judy show, this scintillating excellently-written historical novel never lets up momentum. Caleb’s father is shortly thereafter accused of theft and transported to the Colonies. But Caleb knows his father is not guilty, and so he sets off on a journey to both find his only other living family – an estranged aunt, and to prove his father’s innocence. When a body washes up on the beach near where his aunt lives, Caleb is swept into a world of smuggling and intrigue, mystery and lies, which leads him and his new-found family into terrifying danger. Landman captures the eighteenth century brilliantly – from the clothes and transport, to the marketplace and food, not to mention the hardships and hierarchies that penetrated society. In fact, for all that the plot is fast-paced and exciting, Landman also deals deftly with perceptions of race, gender and wealth, and their accompanying inequalities. Caleb has dark skin, and is treated like a leper in places, and mistaken for a slave boy. 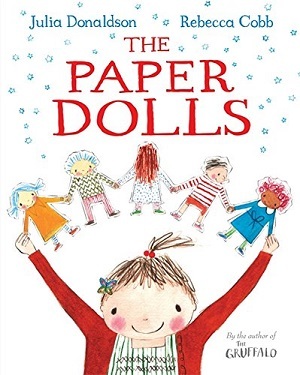 Meanwhile his aunt’s stepdaughter is given a lovely gender ‘twist’, as although a girl, she takes on all the boy’s roles – rowing the boat, hefting heavy items, even adopting the role of puppeteer, despite the negativity associated with female performers. Tanya plays beautifully with perceptions here – putting a historical setting to good use in exploring how our world has progressed (or in some cases not) in how we view race and gender. Her key plot hinges on the different types of thievery – the starving petty thief’s need for sustenance versus the morally corrupt landowners who claim tax and insurance in illegal circumstances. The historical references are rife and intriguing. Set specifically in 1752, Landman has fun playing with the Act of Parliament that lost the country 12 days so as to set the country in time with the rest of Europe. She also explains in the ‘author’s note’ at the end that her tale is inspired by true events of a villainous smuggling landowner and the sinking of his ship, the Nightingale in 1752. The sea too is a huge inspiration for Landman – her descriptions of the landscape are atmospheric and dark, using tidal rivers to great effect from the sweep of the water, to the mud flats, and water penetrating the land. 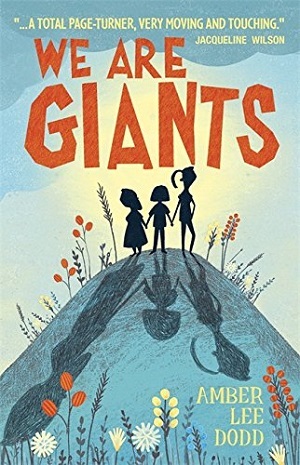 With many allusions to other literature, exploration of the role of parents and family, as well as themes of loyalty, bravery, and being morally upstanding – this is a work of beauty. With descriptions of dead bodies, and an exhumation, moral corruption, and a growing love story, this is for the upper end of my age scale – recommended for 12+ years. You can buy it here. With thanks to Walker Books for sending me a requested review copy. It’s National Poetry Day tomorrow. Quite often, we assume that children will be introduced to poetry at school – they will be asked to memorise a poem, write an acrostic poem of their own, or find a poem in a special poetry book. But if we ask ourselves, ‘what is poetry?’ we will discover that our introduction to poetry comes much earlier than school. Poetry is an art form in which the language displays rhythm or verse. It’s not easy to define, and why so often children are quick to ask if poetry is something that rhymes. Children also ask this because for some of them the earliest poetry they’re exposed to is the rhyming kind. Nursery rhymes are poems. And they’re important too – research shows that early exposure to rhymes increases a child’s ability in spatial reasoning. Modern day nursery rhymes can be found in picture books. Whereas old nursery rhymes can be attributed to historical meanings, such as ‘Ring a Ring ‘o Roses’ representing the Black Plague, (although no factual evidence of this is available) our modern day picture books tell us stories in rhymes that can help us make sense of the world. Julia Donaldson’s Superworm is about teamwork, A Squash and a Squeeze teaches a reader to be thankful for what they have. 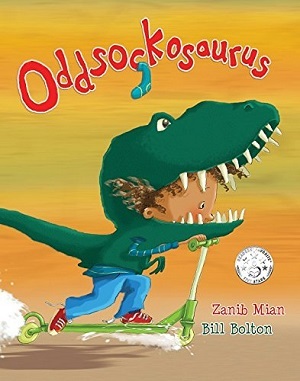 Other picture books use free verse to weave their wonderful narratives. For many of us, poems of our youth stay in our memory far longer than passages of prose. This may be because the predictability of some rhythm and rhyme narrows down the chances of available choices. The emotions in a poem (and I’m generalising here) are often heightened simply by the brevity of the words. And emotions and attention are linked, so we remember poetry more easily. I can certainly recite from memory many of AA Milne’s poems – particularly Disobedience, but there is much repetition and the rhythm is so perfect that even the verse written only in initials scans perfectly. For children, poetry in the library is often shelved near the jokes section. Children love the nonsense and breaking of rules in poetry. Nonsense poems are a key entrance point into a love for poetry – I defy you to find a child who doesn’t love On The Ning Nang Nong. But, lastly, free verse poetry is being used more and more frequently in contemporary narratives for children or young teens, particularly those which deal with difficult or sensitive subjects. I reviewed One by Sarah Crossan on this blog a few weeks ago, which deals with issues surrounding conjoined twins. Another book came my way this week, which is publishing in the UK tomorrow, and it is equally stunning and impressive in its quality and narrative content. and more delicate simplified poetry without as many adjectives or movement of words to describe Josh’s feelings off the court. 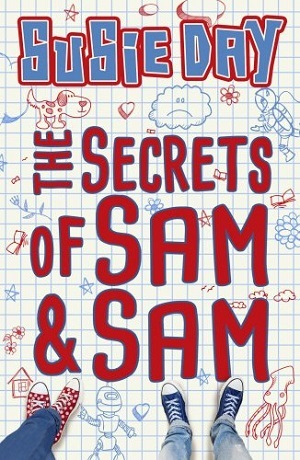 Josh is an extremely likeable character, despite his jealousy of his twin, and his family and relationships with them are expertly portrayed. 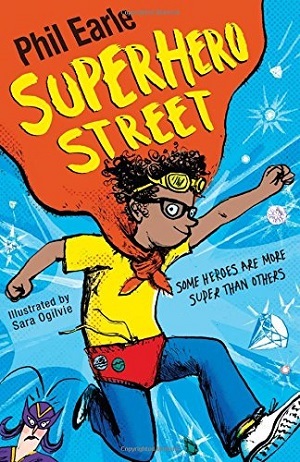 Kwame Alexander also touches on the racial elements of the story – his Dad gets pulled over by the police, but it is subtle and well-handled. 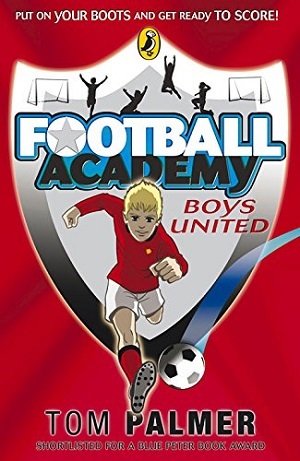 For boys who are reluctant readers and only into sport or music, this may be the perfect way into reading – short bursts of text – ongoing references to basketball (even the book is divided into the four quarters of the game), and yet a crackling narrative underneath. 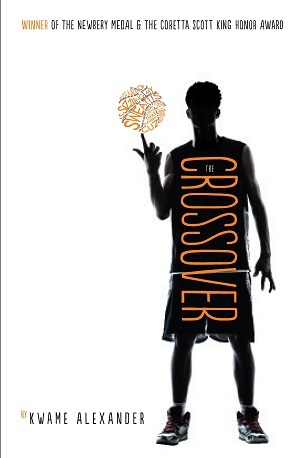 Kwame Alexander told The Washington Post that he wrote it “to show boys and girls that poetry can be cool.” He succeeded. My only fear is that the text is so basketball-led it may put off UK readers. Not that it was a disincentive for me – I devoured it. I wish someone would write a similar one based in football. That would be my perfect children’s book. 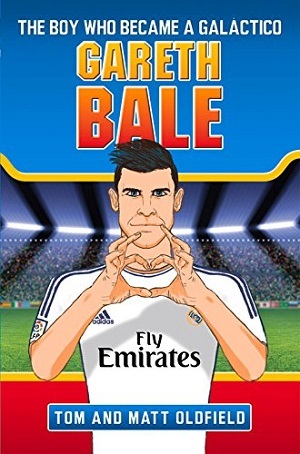 To purchase a copy, click here or ask for it at your local children’s bookshop.